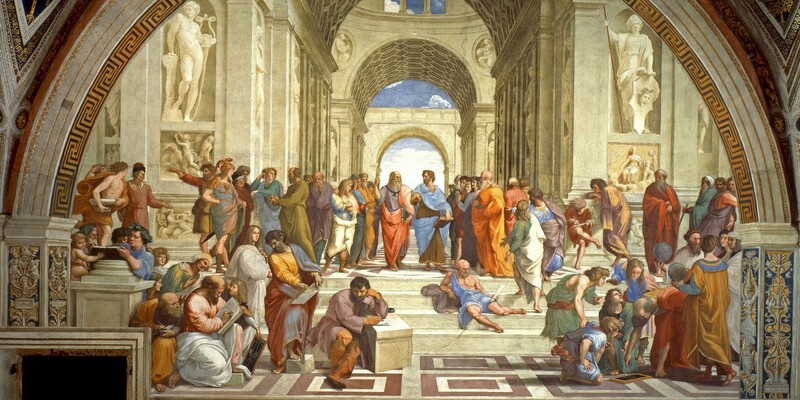 In this image you can see Plato on the center-left where he is pointing his finger to the world of being where all the abstract Forms are, while on center-right is Aristotle with his hand gesturing at the physical world since he thought all that matters was in this practical world. For millennia, the world’s major religious scriptures have been trying to impress on the consciousness of humanity to be detached from and transcend the physical world. In one of the Hadiths prophet Muhammad talks about the “greater jihad” or the inner struggle against ego and worldly desires. What does this all mean? Why were we created with so much temptation, physical desires and worldly cravings? Well, when one observes the world, one cannot help but notice that almost everything is in-need of a trainer or educator. Without a skilled gardener, there is a lot of disorder in nature such as unwanted weeds that make a mess and jeopardize the life of the good plants. In the case of humans, they not only need their parents in the beginning but most importantly they require the help of teachers to educate them in mathematics, science, literacy and the arts. Therefore, education and training seem to be an essential component for any given person’s future progress and success. In the United States, there is no educational system that fosters the kind of training focused on building a person’s character such as self-control and discipline. One might ask, where then do people get their character training from? An answer could be, from the teachings of one or more of the religions. The reason why is because the trainers of the humanity are the Divine Educators, like the ones I mentioned above. The potential ramifications of not developing one’s inner-character could be stress, anxiety, greed, lustfulness and negativity. The Divine Educators could be said to have come in order to uplift humanity to nobler heights, such as to serve one another, work toward the advancement of civilization and build a peaceful world. Everyone has the capacity to read for themselves the wise teachings of their faith, whichever they choose, and to glean what contributes to a holistic life of true joy, happiness and good-will. Also, taking ownership of one’s own material and spiritual life can be very empowering and motivating, instead of merely mimicking another person’s interpretation and opinion. Perhaps this is precisely what humanity needs today, to go back to the teachings of their faith and try to contemplate, in the light of modernity, what is truly intended in every word. Not just that but to also apply those teachings in their own lives and inspire others to do the same. If this will produce a positive ripple effect, then it could lead to a decreasing amount of bigotry, prejudice and dishonesty which we see a lot today. We mustn’t forget that although we do have these temptations and the appetitive desires of the lower nature, we can through persistence and perseverance work and put a leash on our ego. We can little-by-little and day-by-day strengthen ourselves and become shining examples as Baha’u’llah once said, “Let each morn be better than its eve and each morrow richer than its yesterday”. Lastly, remembering that even though one may get a feeling that they keep failing, they shouldn’t lose hope. Just get back up and keep going, and with moderation in all things, one can continue to be happy and focus on how they can be of service to others more.